This action will convert any image/shape/text into a 3D looking image, very similar to the results from 3D rendering software. All with just one click! Two angles for the resulting 3D Image. Two built-in styles for the resulting image – Grey and Glossy Red. Easy customization – You can apply your own styles to the 3D components. Create your own 3D icons, logos, buttons. Create 3D text than you can use for advertising, personal projects etc. You want to create 3d images but don’t have the skills to use any 3d modeling program/software? But you do have to skills to install a Photoshop Action and click the play button? 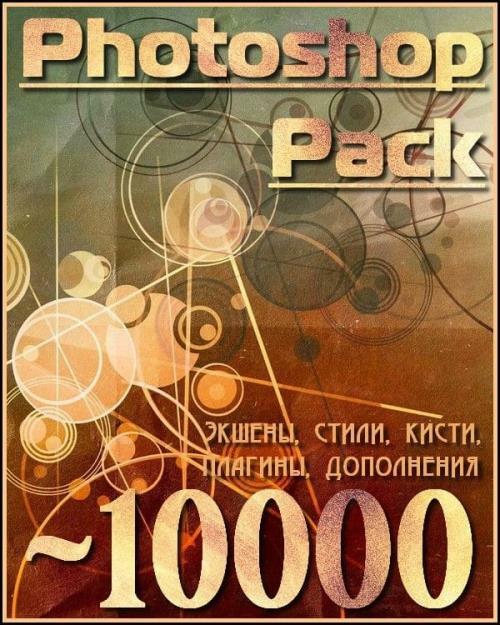 Well, then you are the perfect candidate to use this amazing easy to use Photoshop three-dimensional (3D) action! With just one click on the button you can easily turn any shape/layer/text or whatever you like into a 3D image on high resolution! I would just say… 3D IT! Get ready to generate your own 3D images! 2000×2000 psd file (Sample to try). Also possible to create pressed graphics! It will use the colors from your main image to generate the 3D effect(s)! Ain’t that awesome?! This file can be easily used and installed in Adobe Photoshop CS or higher. The ATN & PSD contain: 2000x2000 psd file (Sample to try) | Highest detail possible | Easily turn images | shapes | texts into 3D | Nicely named and sorted layers | Turn everything you like into clean 3D graphics. (RZDESIGN Style!) | Awesome feeling & quality (right?) | Also possible to create pressed graphics! | It will use the colors from your main image to generate the 3D effect(s)! Ain’t that awesome?! You can simulate a pressure effect as well! Just keep the whole canvas filled with a color and cut the shape you want to get pressed from it. Then follow the tutorial! Экшен, который превратит Ваше фото в карандашный рисунок. Формат - ATN. Размер - 1 Кб. Action: Pop Art Style action (creates images in the style of Andy Warhol). Dimensions: your photo must be 20×20cm. The result will be 60×60cm. Simply rename your layer to “text” (all lowercase and have it selected) then hit play. You can use these actions on other graphics as well as text. All layers will be contained in 1 folder which you can scale down / move around so that the text layers stay together. Most actions produce multiple layer styles which you might want to save out into your collection. There is a layer generated which allows you to quickly change the color of the text. With Selective Color Actions you can convert your image into black & white with selective color image, which adds style, depth, drama and interest in your images. Added 16 new actions | Added multi color isolation support. It includes 1 help file and 1 .ATN file. The images are not included! These Photoshop actions will add impact to your photos, by punching colors and contrasts as seen in some blockbuster movies. Just load the action pack in the actions panel and apply the one you want to your desired layer. Enjoy! This pack of actions for Adobe Photoshop will create modern glossy icons/buttons using any transparent png files. It can even work with images without transparency and text.